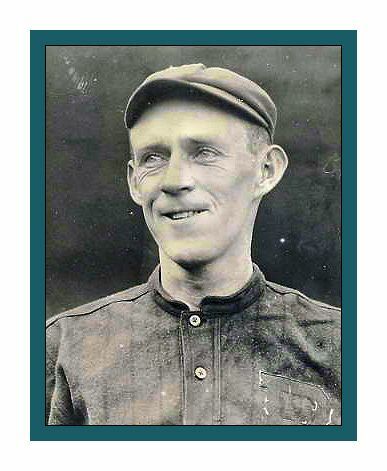 Johnny Evers was as high-strung as he was brainy-one reporter described him as a "keen little umpire-fighting bundle of nerves"-and sometimes those nerves got the better of him. In 1911 he played in just 46 games for the Chicago Cubs when he was knocked out of commission for most of the season by a nervous breakdown; he claimed it was caused by the loss of his entire accumulated capital, $25,000, in a business venture. 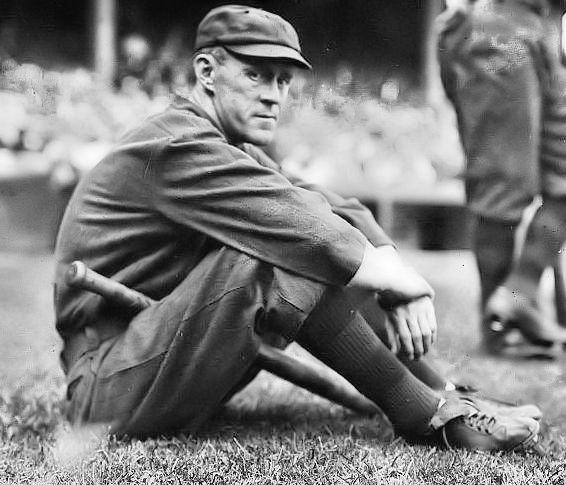 Evers bounced back to enjoy the best season of his career in 1912, batting a career-high .341 and leading the NL with a .431 on-base percentage. At the end of that season Frank Chance resigned as manager (or was fired, depending on who you believe), and Cubs owner Charles W. Murphy gave the 31-year-old Evers a five-year contract as player-manager. But the Cubs failed to improve on the previous year's third-place finish, and after the season Murphy summarily dismissed his manager despite the long-term contract. The fallout was acrimonious. Murphy initially claimed that Evers had resigned. Johnny angrily disputed that, and the other NL owners unanimously sided with him. Murphy then tried to trade his ex-manager to the Boston Braves for two players and cash. Evers said he wouldn't report, and his refusal was made more piquant by the fact that the Federal League was offering him $30,000 to forsake the NL altogether. Although Evers later claimed that he had no intention of jumping to the new league, that was far from clear at the time. Disgusted by Murphy's tactics and afraid of losing one of their top stars to the upstart league, the NL owners nullified the trade and awarded Evers his release, permitting him to sell his own contract to the Braves for $25,000 plus bonuses and incentives of various sorts. His overall earnings for 1914 made him the highest-paid player in baseball. The deal was risky for the Braves on several counts. Due to his age (32), slender frame (he spent off-days wolfing down candy bars to keep on as much weight as possible), hypersensitivity, and proclivity for getting ejected, Evers couldn't be counted on for everyday play. Nevertheless the unorthodox deal benefited a number of people, none more than Evers himself. His new manager, the like-minded George Stallings, quickly appointed him the Braves team captain. Johnny took his duties seriously, running teammates ragged in practice and taking it as a personal insult when anyone put forth an effort that he regarded as sub-par. "He'd make you want to punch him," teammate Rabbit Maranville recalled, "but you knew Johnny was thinking only of the team." After rocketing from last place to first over the last 10 weeks of the 1914 season, the "Miracle Braves" swept the Philadelphia A's to become World's Champions. Sensational down the stretch, Evers also was outstanding in the Series, batting .438 with several key hits. To cap off his spectacular season, he won the Chalmers Award as the NL's MVP. That was Evers' last great year. Injuries and suspensions cost him almost half of the 1915 season. When healthy he performed at his usual impressive level, but his disputes with umpires, never far from the sports headlines even in the calmest of times, became weekly fare. Johnny's nerves were clearly frayed even beyond their usual state. In early August, with the Braves trying to catch the Phillies in the pennant chase, he announced that he needed to leave the team immediately or risk a recurrence of the nervous breakdown he had suffered four years earlier. Johnny managed to complete the 1915 campaign, but it was his last as a regular. He had a poor year in 1916, and after batting a meager .193 over the first half of 1917 the Braves placed him on waivers. Evers spent the second half with the Phillies, who released him at season's end.